FAYETTEVILLE, NC (WTVD) -- Fayetteville Police are issuing an APB for a "KONG." 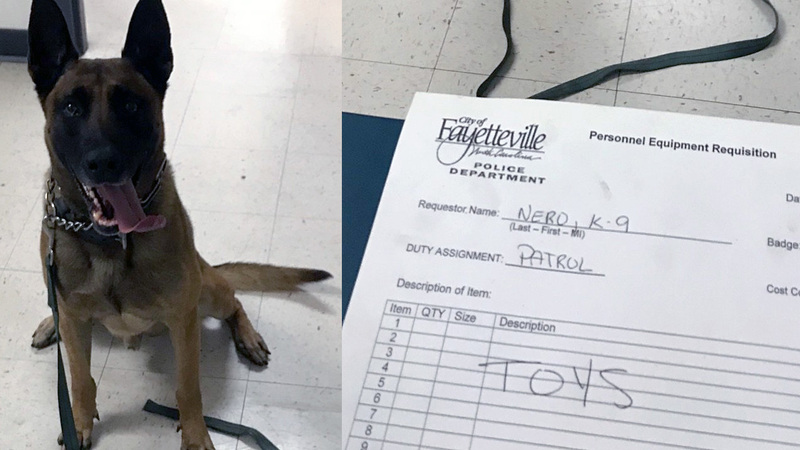 The Fayetteville PD said on Twitter and Facebook that a K-9 officer named Nero lost his beloved rubber chew toy during the weekend. And just like any other officer, he has to fill out the proper paperwork to get a new piece of equipment. No word on how Nero lost his toy, but he'd better take care of his new one ... or he'll be in the doghouse - and back on paperwork duty.